Sometimes I get wrapped up in something strange and/or beautiful (really the two attributes seldom occur independently) I find out in the woods, like damselflies or wood thrushes or spring peepers. Lately I've been into Monotropa uniflora, which I must insist on calling gloomblossoms. 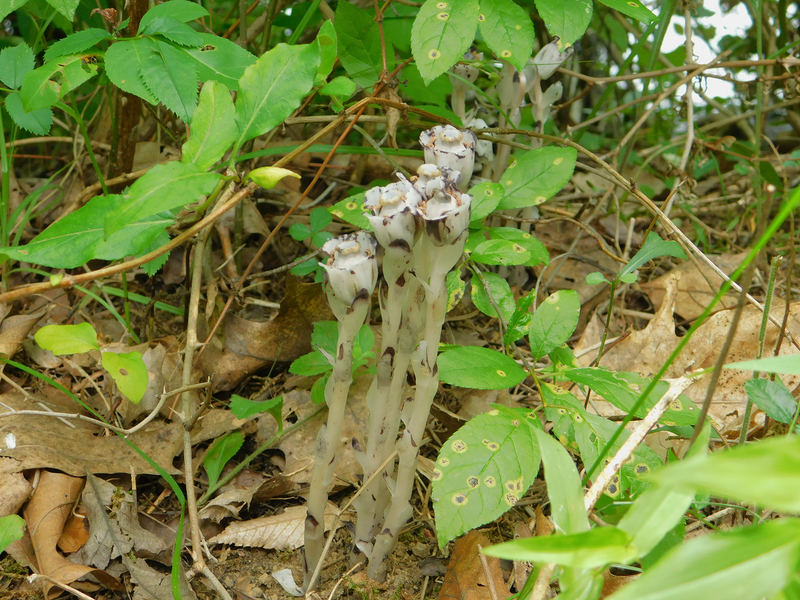 They're already called Indian pipe, ghost pipe, ghost flowers, and corpse plants; what's one more colloquial name? 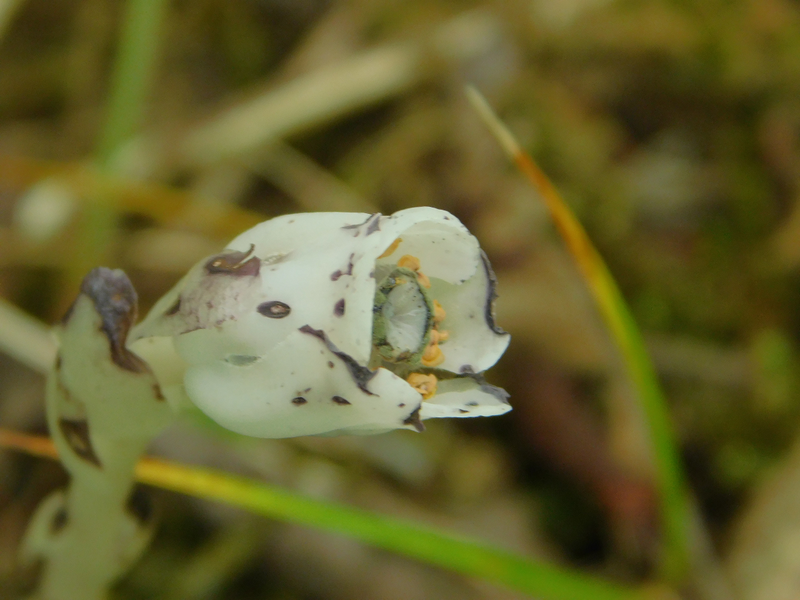 The plant is entirely white, and each step is tipped by a single flower. If the plant is bruised or dries up, it turns dark brown or black. The fact that the flowers bend over probably relates to the wet places where they grow: if the flowers pointed upward, they might collect rainwater, and the nectar that they offer visiting insects would be diluted. The pollen grains would also be wet and wouldn't cling to visiting insects properly. 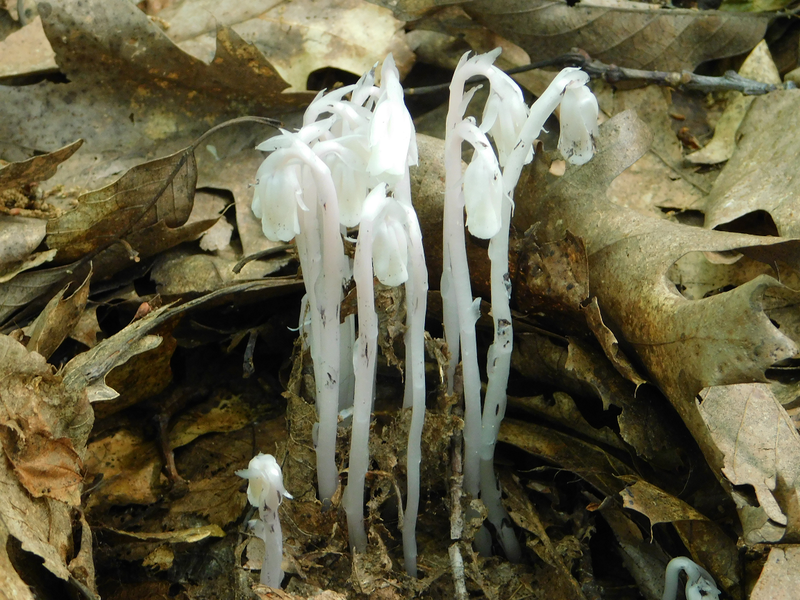 The indian pipe gloomblossom is a flowering plant, but it isn't green, so how does it get its food? Even today, you see misinformation about that. 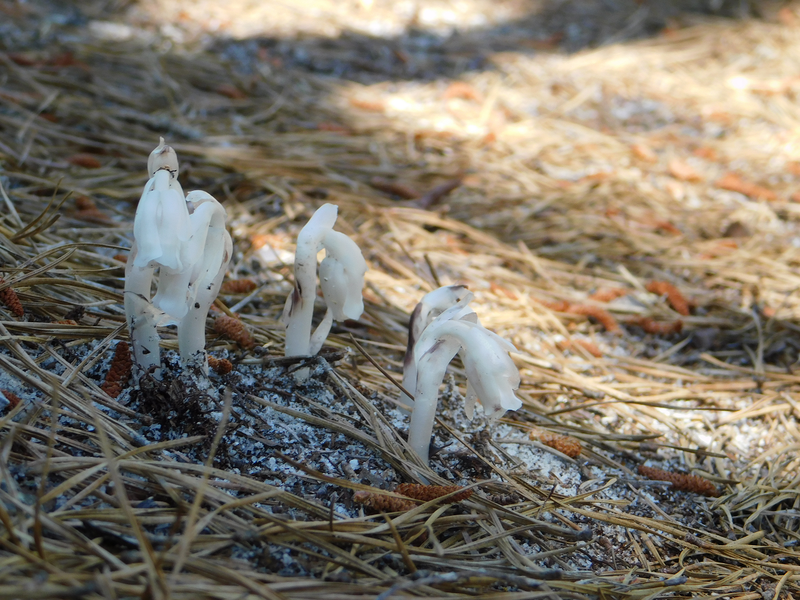 People thought that it lived on decaying leaves and called it a saprophyte. Today we know that it has short, stubby roots that contain fungi. And the fungi, extend in a web-like way through dead rotting leaves and connect up to the roots of conifers. The conifers provide sugar, which the fungi carry to the Indian Pipe gloomblossom plant. So it's really a parasite, but on fungi. 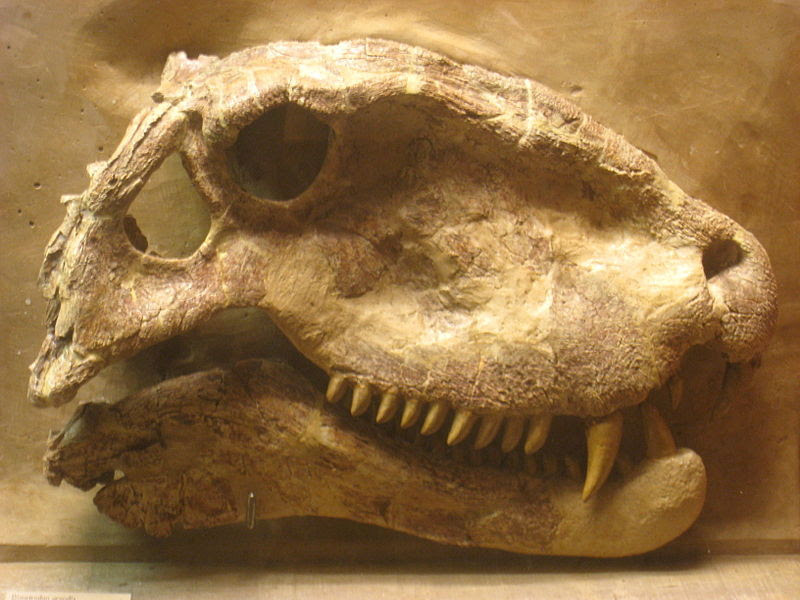 Note: contrary to the claims of the Botanical Society of America—that the plants prefer moist environments and conifer trees—two of the three sets were observed in locations with few to no conifers; the one encountered in a pine forest was in very dry location. I'd really like to cap off this set with a photo of a seeding gloomblossom. We'll see.